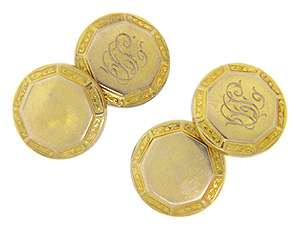 Intertwined initials adorn one face of each of these 18K yellow gold art deco cufflinks. 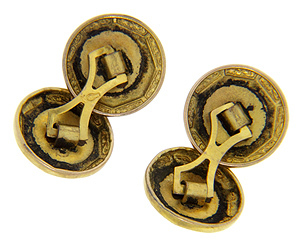 The vintage cufflinks are circular in shape but display an octagon inside the circles edges. The cufflinks faces each measure 1/2” in diameter. Circa: 1920.